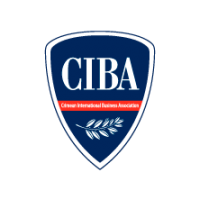 Crimean International Business Association – international public organization. Brings together more than 500 entrepreneurs and cooperates with more than 40 international organizations. Assistance in developing and implementing the strategy of economic development of Crimea. Support of small and medium businesses, introduction of perpective innovative technologies. Promoting international cooperation and improving the investment climate of Crimea. Consolidation of entrepreneurs efforts to achieve common goals, share experiences, and realization of new projects. Formation and development of information and educational programs. Representation and protection of business interests, helping to build a dialogue between business and government.